Parenting Coordination is a problem-solving service offered to parents raising children between homes who seek professional assistance in working together to keep their children free from the parents’ conflicts. Parenting Coordination is a child-centered dispute resolution service that assists parents in developing and implementing workable parenting plans when they are unable to do so on their own. Our parenting coordination process uses an education based model utilizing one male, Bradley S. Craig, LMSW-IPR, CFLE serving as the parenting facilitator and one female professional serving as the communication coach. The professional team works to educate parents, meet jointly with both parents to develop an ongoing plan, monitor communications through Our Family Wizard, and assign tasks for parents as needed such as homework. 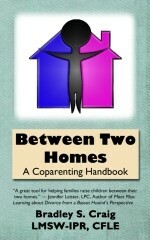 Unlike parenting facilitation, parenting coordination is confidential. $600.00 retainer from each parent made out to Bradley Craig and mailed to the mailing address. Please include a cover note with the last name of the child(ren), service you are paying for, cause number, and name of the person the check is for if it does not match the name on the check. Post dated checks and credit cards are not accepted for the initial retainer. Do not e-mail or otherwise communicate with Mr. Craig regarding the history of your case, your concerns regarding the other parent, or other relevant information prior to your initial session though you are encouraged to address your concerns on your personal data form. While divorce itself places children at risk for various psychological difficulties, research has shown that the strongest predictor of child maladjustment after divorce is exposure to high levels of inter-parental conflict, particularly when the conflict is hostile, aggressive, poorly resolved, and focused on issues pertaining to the children. In approximately 10% to 15% of families of divorce, such conflict continues at a high level for several years following the formal divorce decree, and it typically causes the children and the parents to suffer significant and prolonged psychological distress. The parenting coordinator may do this by reviewing written evaluations and reports, and talking with other significant individuals involved with the family (doctors, therapists, school personnel, lawyers, etc.) The parenting coordinator will meet with the parents jointly, and communicate by fax and email. Home visits may be made if requested by the court. A parent coordinator as defined by the law can not testify in court or submit a report into evidence. The only form of communication that is allowed with the court is for a Parent Coordinator to report if the process is succeeding and if it should continue. The rate for Parenting Coordination is $200.00 per hour rounded up to the nearest 15 minute increment. This includes all services of the Parenting Coordinator including reviewing documentation, meetings, correspondences, phone contact, email, court time, legal expenses, and consultation with other family service providers. This service is confidential. However, if a client or attorney requests a court appearance, deposition, or participation in any type of settlement conference by Mr. Craig there will be a minimum charge and deposit of three hours ($750.00) per day. If the court or both attorneys request a court appearance, deposition, or participation in any type of settlement conference by Mr. Craig, these fees are split unless otherwise addressed in the order. Once the deposit is received Mr. Craig will block of the time to appear. Please note: if an appearance request and the deposit is received without a minimum of one week notice the nonrefundable deposit is due immediately and there will be an additional $250.00 express charge ($1000.00). Failure to provide the nonrefundable deposit at least 48 weekday business hours (Monday through Friday, excluding holidays) constitutes release from the requested appearance. Deposits are nonrefundable unless cancellation of the appearance request is received by the requesting individual or attorney not less than 10 business workdays in advance.